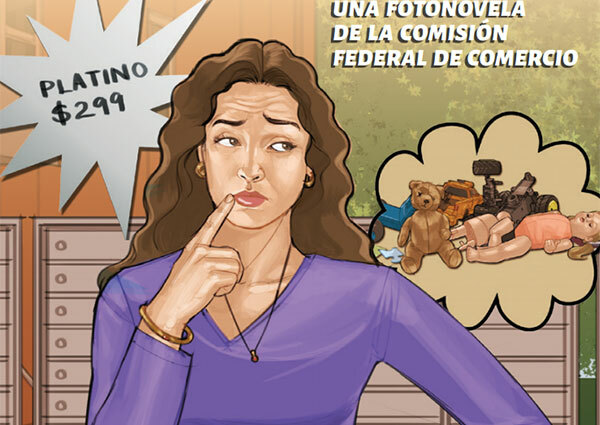 The FTC’s second Spanish-language fotonovela is about scams that promise you can make money selling high-end products or brand-name merchandise. If the pitch sounds familiar, that’s because the story is based on facts from a recent [Federal Trade Commission] FTC lawsuit against a company that targeted Spanish speakers nationwide. Fatima wants to follow through, but she can’t afford the fee. The caller tells her she can pay by money order when the merchandise is delivered. 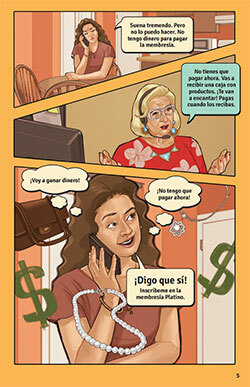 Read Fatima Says No to an Income Scam to learn what happens next, what to do if you get a random phone call offering a way to make money, and how to complain to the FTC about it. Share Fatima’s story with your friends, family, coworkers, or neighbors. Order free copies in Spanish at ftc.gov/bulkorder.This post was originally published on the FTC Consumer Information blog by Alvaro Puig, Consumer Education Specialist.